Nearly 350 construction workers die each year from construction site electrical accidents. Scaffold related construction accidents are one of the most common accidents on a construction site, accounting for 1 of every 5 construction related injuries. More often than not, injuries result from a fall because the scaffolding was improperly erected, modified, or moved. Worldwide more than 500 deaths occur each year as the result of crane accidents. Trench accidents and excavation cave-ins are a major contributor to construction accident, work injury, and fatalities. Each year around 70 workers are killed and 700 more injured from trench accidents. Construction equipment is often extremely heavy and very dangerous, even when safety precautions are taken. Construction Accident, Work Injury resulting from equipment accidents are often debilitating and life threatening. Nearly half a million iron workers are on construction sites in the United States. A job site superintendent has the responsibility to provide a safe working environment for all the employees and subcontractors on a construction site. $3 Million Dollar settlement in Montgomery County for man who fell through a stair opening negligently covered with insulation board material causing him to fall into the basement at the addition under construction at his home. He suffered severe injuries including a broken back and permanent nerve damage to his lower body. $275,000 settlement in Montgomery County for construction accident, work injury suffered by worker who was hit on head by falling two inch by ten inch plank causing a herniated disc and rotator cuff tear. Fox Law Philadelphia Construction Accident Lawyers welcome you to contact us for a prompt and free consultation regarding your construction accident case. No case is too big or too small for an evaluation. Fox Law welcomes the opportunity to represent you. In your consultation, your case will be discussed and the facts will be reviewed and evaluated. If Fox Law accepts your case, it will be handled on a contingency basis, which means you pay nothing. We carry all of the costs and assume all of the risks when we accept your case. 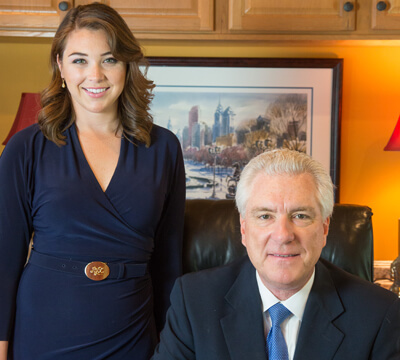 FOX LAW is conveniently located at Two Logan Square in Center City Philadelphia. In addition to Philadelphia County, we serve Bucks County, Chester County, Delaware County, Montgomery County, Allentown, and Reading Pennsylvania. For your convenience, John Fox makes house calls, when necessary. WE MAKE A RECOVERY FOR YOU OR IT'S FREE. 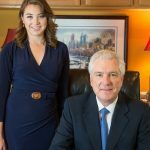 What does the term “Philadelphia Lawyer” mean?